“We want the Ukrainian Orthodox Church to be united not only in appearance but also in spirit so that it could serve the Ukrainian people,” the head of Ukraine's Orthodox Church, Patriarch Filaret told reporters on October 11. A decision by the Istanbul-based Ecumenical Patriarchate to agree to recognise the independence of the Ukrainian Orthodox Church was hailed by Ukrainian President Petro Poroshenko on October 11. “This is a victory of good over evil, light over darkness,” Poroshenko said in televised remarks, adding Ukraine had been waiting for this “historic event” for more than 330 years. 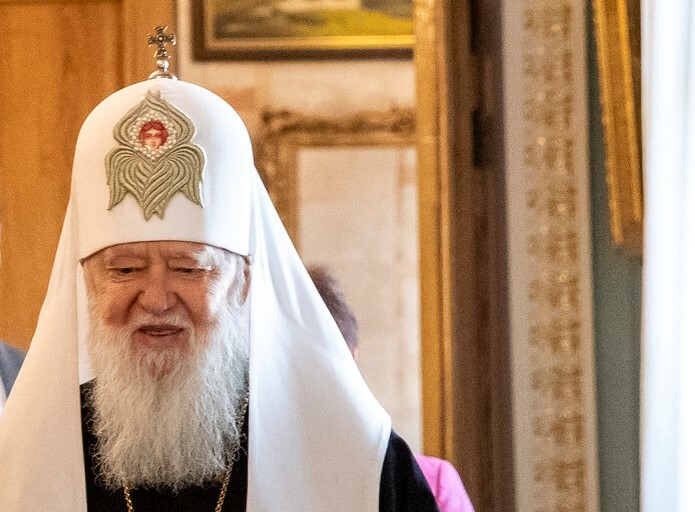 “We want the Ukrainian Orthodox Church to be united not only in appearance but also in spirit so that it could serve the Ukrainian people,” the head of Ukraine’s Orthodox Church, Patriarch Filaret told reporters outside Kiev’s Vladimir Cathedral on October 11. As reported by FRANCE24, the Orthodox church in Ukraine has been split between a branch whose clerics pledge loyalty to Moscow and one that is overseen by Patriarch Filaret. The decision, which is a huge blow to Russia’s spiritual authority in the Orthodox world, was criticised by the Russian Orthodox Church. Critics called in “catastrophic”.